The call comes on the back of a new survey by Make UK, the manufacturers’ organisation which shows a significant lack of awareness amongst Industry about the proposed new T levels, as well as concerns about how key elements of the reforms will be implemented in practice. Commenting, Verity Davidge, Head of Education & Skills Policy at Make UK, said: “For too long, vocational education has remained in the shadows of academic learning. Industry supports the introduction of T levels which have the potential to boost technical education and create a credible vocational education route for young people and deliver the practical and technical skills industry so desperately needs. “However, the introduction of T levels is another fundamental change to our education system which has been subject to constant chop and change, often leaving employers bemused. Currently, there is a worrying lack of awareness amongst industry with low levels of knowledge even amongst those who have heard of them. The new T levels are due to be introduced in engineering and manufacturing in 2022 and are intended to place technical qualifications as an equivalent to A levels. The aim is to simplify the landscape for vocational qualifications and provide a route into skilled employment after two years’ study. They will be made up of five key elements and include mandatory work placements. However, whilst Industry is behind the introduction of T levels the survey showed that almost two thirds of companies (65%) hadn’t heard of them whilst more than a quarter (28%) had heard of them but with only limited knowledge. Furthermore two fifths of companies are unaware of what is required of them when it comes to providing work placements though given the overall lack of awareness this is unsurprising. The survey does show that manufacturers are willing to step up and offer work placements with one third prepared to offer them in their current form and a further fifth (21%) prepared to do so if they were more flexible. However, with all the other issues that companies are facing, in particular Brexit, 60% of companies feared having the capacity to manage work placements, especially as over half (55%) said they wouldn’t have the time given they are already managing young people through schemes such as internships and work experience. Manufacturers do see potential for T levels, but not as a way to move into skilled employment as the Government had initially proposed. 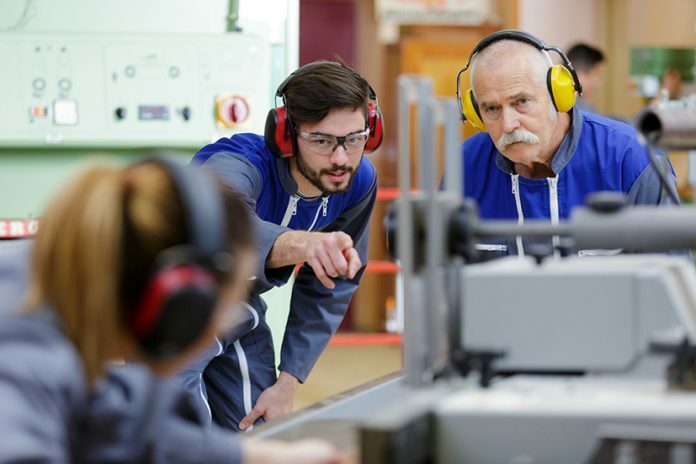 Instead, almost half (43%) of manufacturers see T level students moving onto a higher level apprenticeship and 30% suggesting T level learners go onto higher education. For the latter to be achieved, however, efforts must be made to end the snobby of vocational learners going onto university. Make placements flexible so as to increase their take up. This could be done by using training academies that replicate the real world of work to deliver them whilst not having to physically be on a shop floor. Allow T level students to undertake their placement with more than one employer. This will encourage greater take up among SMEs unable to deliver a 3 month placement and give learners greater exposure to wider industry. Increase support for employers to deliver placements by matching funding support for providers to employers to encourage take up of placements across all sectors and sizes. Include a “work readiness” module to T levels to ensure that young people are better prepared before undertaking their placement with an employer. Take steps to simplify T levels, especially around grading. This would help secure employer buy in as well as make the qualification more attractive to the next generation. Take greater action to get universities to accept T level students. This would significantly increase the attractiveness of T levels and vocational learners.